Justice John J. Ellington was elected to the Supreme Court of Georgia in 2018. Prior to his election, Justice Ellington served on the Georgia Court of Appeals for more than 19 years. In 1991, Justice Ellington became one of the youngest trial court judges in Georgia when he was appointed State Court Judge of Treutlen County. 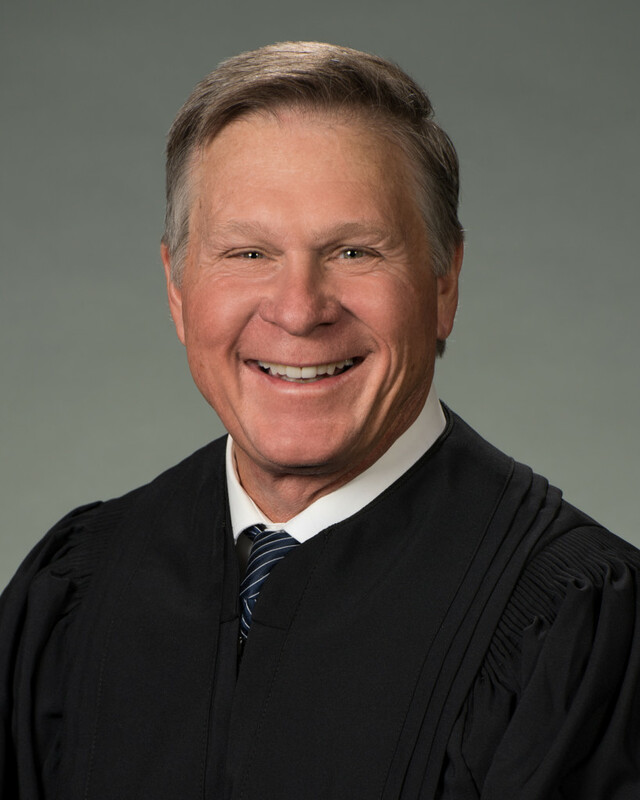 In addition to serving as State Court Judge for more than six years, Justice Ellington served as a Superior Court Judge by designation in five judicial circuits (29 counties) throughout South Georgia. He also served as Municipal Court Judge in Soperton, Lyons, Reidsville, Glenwood, Mt. Vernon, Ailey, and Uvalda, Georgia. Justice Ellington graduated from the University of Georgia with a B.B.A. in Accounting in 1982, and from the University of Georgia School of Law with a J.D. in 1985. He attended Abraham Baldwin Agricultural College and graduated with degrees in Business and Political Science. At ABAC, Justice Ellington served as President of the Student Government Association, and he received the George P. Donaldson Award as the outstanding graduate in the Class of 1980. Justice Ellington has served in many capacities in business, professional, civic, and religious organizations in South Georgia and metropolitan Atlanta. An Eagle Scout, Justice Ellington served as Eagle Scout Alumni Chairman for Troop #56, Boy Scouts of America. He is a past President of the Vidalia Rotary Club, and he is a Paul Harris Fellow Rotarian. He is former Chairman of Four Rivers Ducks Unlimited, past President of the Soperton Lions Club, and former President of the Treutlen County Sportsman’s Club. He served as a Director of Swainsboro Technical College. Justice Ellington is a member of the Lawyers Club of Atlanta, and a fellow of the Lawyers Foundation of Georgia. In 2000, Justice Ellington was named to Georgia Trend’s “40-Under-40,” recognizing 40 leaders throughout Georgia under the age of 40 who have made significant contributions to the state. He was a member of the 2001 Class of Leadership Georgia. In 2001, 2006, and again in 2007, Justice Ellington was awarded the prestigious Distinguished Judicial Service Award by the Young Lawyers Division of the State Bar of Georgia, recognizing his outstanding service as a judge and his commitment to improving the practice of law. In 2016, Justice Ellington received the Robert Benham Award for Community Service from the State Bar of Georgia. Justice Ellington was named the Outstanding Young Alumnus at Abraham Baldwin Agricultural College in 1994. He is a member of the Presidents’ Club at ABAC and serves on the ABAC Foundation. Justice Ellington is a member of the First Baptist Church in Soperton, where he has taught Sunday school and is a former Chairman of the Board of Deacons. Justice Ellington was born in Vidalia, Toombs County, Georgia, the son of the late Charles E. Ellington, Sr. from Laurens County, Georgia, and Nan Davis Ellington from Johnson County, Georgia. Justice Ellington and his wife, Sandra Kate, live on a family farm in Treutlen County, Georgia.